Prior to moving to Prescott in 2001, Lori and her husband Ed spent their adult lives living and working in various places throughout the US, the Orient, Europe and Great Britain. Lori was raised in San Juan Capistrano, California. She received her BA at the University of Redlands and her M.Ed. in Counseling at the University of Maryland. The majority of her professional life before moving to Prescott was spent as an educator. She taught at the pre-school, elementary, and college levels; worked as a middle school and high school guidance counselor; and was the program developer and coordinator for Career Connections, Fairfax County, Virginia’s K-12 nationally award-winning career education program. As a professional as well as a community volunteer, Lori has served on numerous boards and advisory committees at the local, state, national, and international levels. 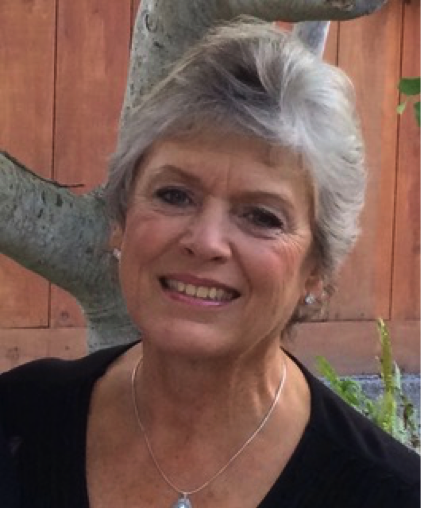 Since moving to Prescott, Lori has been active as a charter member and past president of the Prescott Lakes Women’s Golf Association, a volunteer at the Sharlot Hall Museum, a volunteer and docent chair at the Phippen Museum, a member of the Prescott Docent Coalition, and a volunteer at YRMC. She was a Phippen delegate to the 2005 National Docent Symposium in Boston. She served as a trustee on the Phippen Museum’s Board of Trustees from 2006 to 2016. Since moving to Prescott, she has worked as a travel consultant and is currently the owner of Your Personal Travel Consultant. With her experience in teaching, counseling, program development, training, and management, Lori endeavors to further enhance the development of the Prescott Western Heritage Foundation. Lori and her husband Ed have two adult sons. Chris and his wife Laurie live in Carmel, California. Curt and his wife Janell live in Fairfax, Virginia.